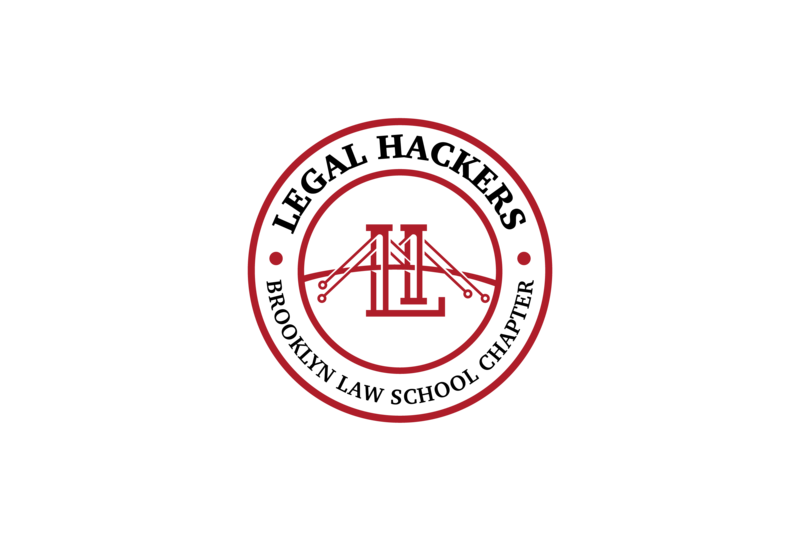 Space for Meeting Minutes, Upcoming Events, and Membership Details. 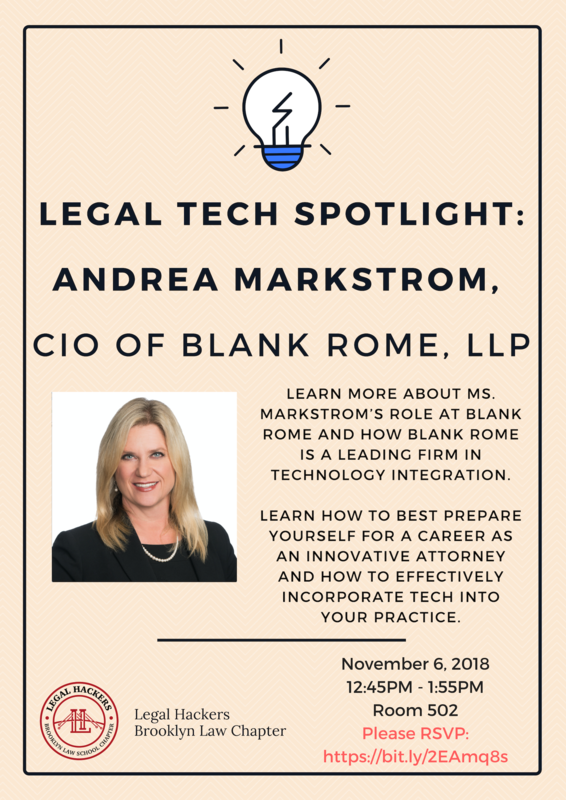 On Tuesday, November 6, the Legal Hackers Brooklyn Law Chapter looks forward to welcoming Andrea Markstrom of Blank Rome LLP to Brooklyn Law School for our first Legal Tech Spotlight event! Ms. Markstrom serves as Blank Rome’s Chief Information Officer and is responsible for leading firm-wide technology and security initiatives across all of Blank Rome’s practices and geographies. Attendees will learn about Ms. Markstrom’s responsibilities to strategically leverage the firm’s technology, leadership, and administrative teams and to expand Blank Rome’s technology offerings for its clients, professional staff, and attorneys. 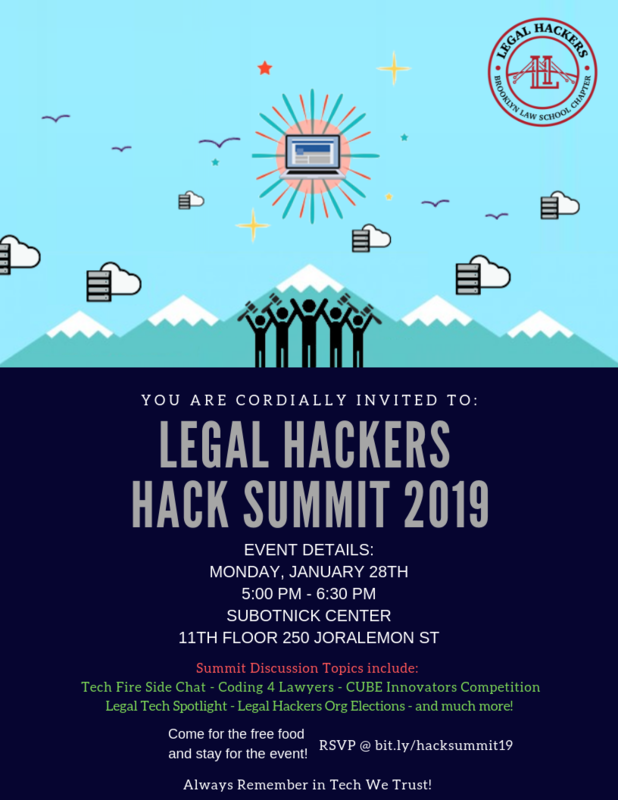 Don’t miss this opportunity to gain valuable tips to market yourself as an innovative attorney and learn how to effectively incorporate tech into your practice! Join us for lunch in room 502 from 12:45pm - 1:55pm. 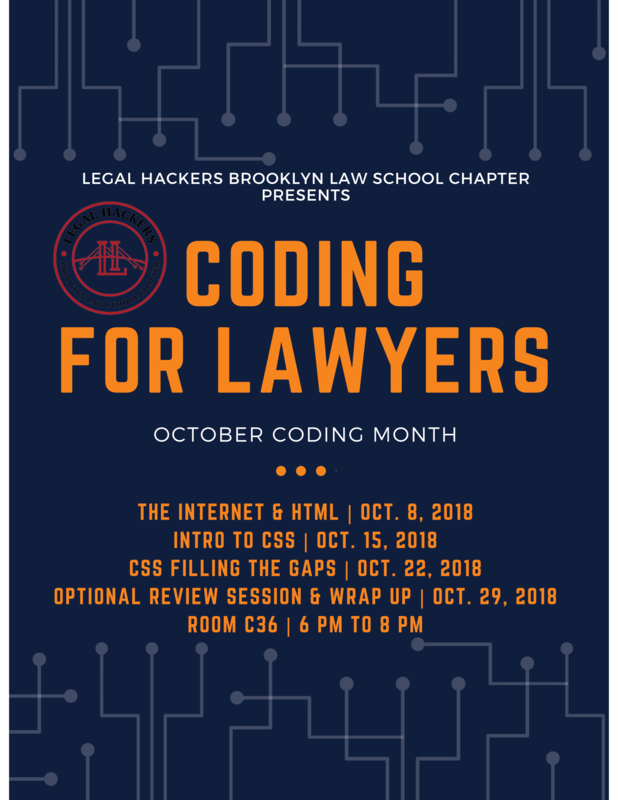 We are very excited to launch our FIRST Initiative of the Semester: Coding For Lawyers. The series will break down into 4 sessions and will be led by Lloyd Carew-Reid, our Technology Educator at BLS. Each session will be held from 6pm - 8pm in the Mac Lab (Room C36) in the basement of the library. Please note that no technical or programming background is required! Learning Outcomes: How the Internet works, knowledge of IP addresses and networks, HTML language basics Build a simple website to display a resume page and IP law topic page of your choice! Learning Outcomes: Apply simple stylistic changes using CSS to your resume and IP Law webpages. Learning Outcomes: More advanced CSS including external style sheets, reset.css, and The Box Model. The E-Board was very impressed with all of the applications we received. 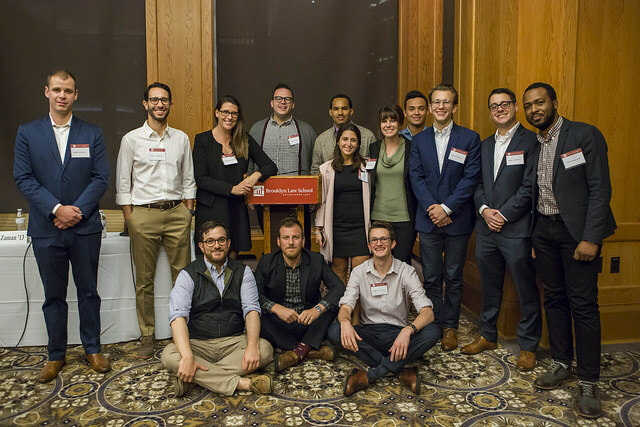 We are confident that these students will represent the organization tremendously and look forward to working with them throughout the course of this academic year. 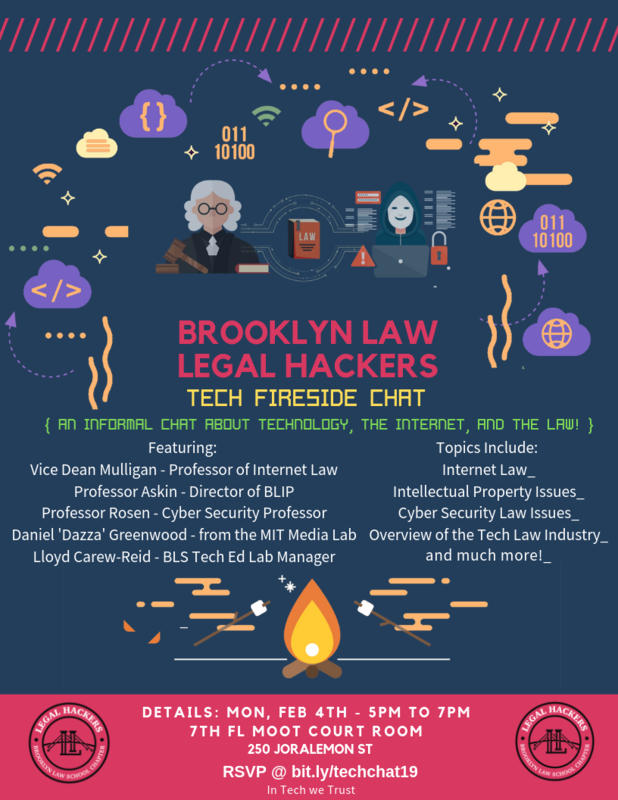 Our Chapter Website is https://blslegalhackers.github.io/Chapter/.